I started this morning as I begin nearly every weekday morning when my writing alarm goes off: throw on my oversized sweater, tiptoe down the stairs (being oh-so-careful to avoid the stairs’ creaks and cracks so my babies don’t wake up, rending my writing time null and void), hit the coffee maker’s switch, light the lavender candle, and open my notebook to a fresh page. While the percolator bubbles, enveloping the kitchen in that warm coffee smell, I start to mentally run through my writing tasks for the day and think about the first words I am going to write down. Then I fill my coffee cup 3/4 full and and sit down to write. I begin every weekday morning in this same way. The routine is comforting to me, exhilarating even. The sweater, the coffee, the candle–all of these sensory details tell my brain and my body it’s time to write, and create an inviting space for me to begin my work. Without this routine I don’t think I would have the focus and energy to come to my notebook so early in the morning: I would do the easier things, like empty the dishwasher, fold the load of laundry, or just sit in the white chair that faces my backyard, warming my hands around the coffee mug, watching the sunrise. Today we’ll explore the idea of creating a routine for your writing classroom that will help usher your writers into their own work, focusing their brains and stoking their ideas, maximizing the precious minutes you have together in the midst of a busy high school schedule that can otherwise be an inhospitable environment for writing and thinking and creativity. Why is it worth creating a writing routine in your classroom? First, there’s the benefit to you. Knowing exactly what is going to happen in your classroom each day and in what order significantly reduces the amount of thinking work you have to do each day. No more panicky nights wondering what’s going to happen in class, or for you long-term planners, marathon sessions mapping out and designing the details of daily class periods. Routines give you time, space, presence. Routines let you do the thing you were meant to do: teach. And then there’s the benefit to students. A predictable routine opens up space for them as well. Think of the student who is nervous about the possible pop quiz in history during period 5, worried because he forgot his shoes for practice later that day, hungry because he left his lunch on the bus. When this student enters your classroom, and the half-drawn shades and soft background music signal to his brain that he’s in a safe, comfortable space for the next 45 minutes, and that he will have room and time to think, plan, and write, he just may be able to let go of the things crowding his thoughts for a little while, just long enough to get some ideas down on paper, talk them through, lean into his writing. When students know what to expect coming into your writing classroom, they can leave some of that worry at the door. When you eliminate surprises, you reduce fear and distraction, and waste less time. Rather than wondering, “What are we doing in English class today?” students can think, “What will I be writing in class today? Which direction will my story go in today? I think I need a writing conference.” When students know what to do, how to do it, and where to find the tools to help them, they can begin their work immediately, creating more writing time where time doesn’t exist. Step 1) Think about what tone or mood you want to set and build a routine around it. How will you begin your writing time together? A pop quiz on writing terms says, “You better know your stuff or else.” A traditional grammar warm-up might overemphasize rules and stifle creativity. Letting students sit while you take attendance could invite too much chaos in. There are hundreds of posts on Notebook Time on our blog (just search Notebook Time, and they’ll pop up), so just a few seconds on the concept here. A notebook invitation is anything that might inspire writing: a quote, a little bit of writing, an interesting map or graph, a photograph, a lyric, anything that might start a little fire in their brains. We ask the simple question of our writers about the invitation: what do you notice? How might it inspire writing? And let them go in their notebooks. 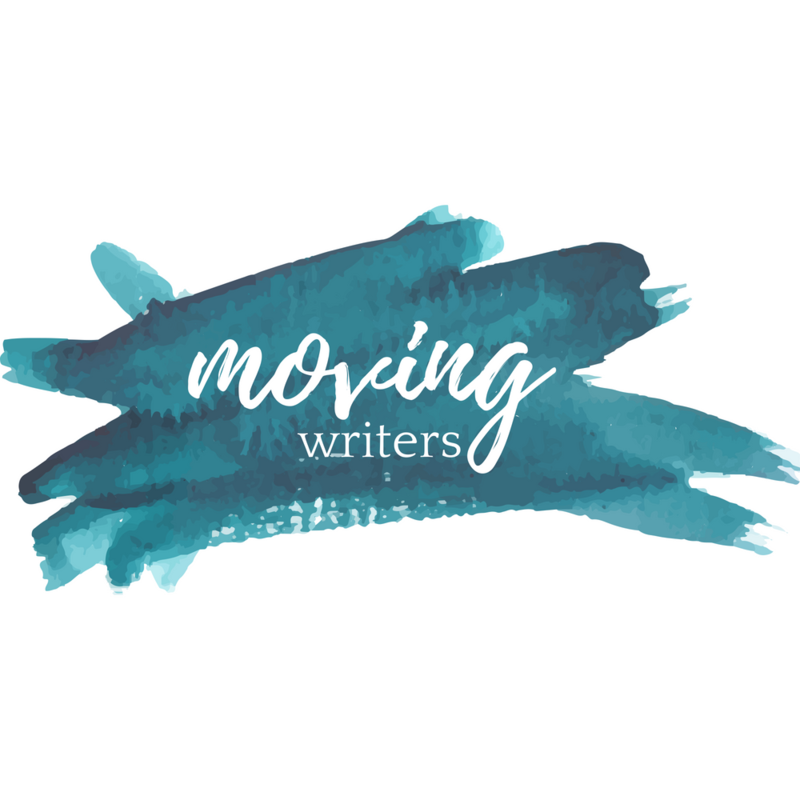 If your pen is moving across the page, you are doing it “correctly.” In other words, there is no wrong way to respond to a writing invitation if you are writing. They write, we share in small groups or out to the whole class, and we move on, tucking each little writing seed away in our notebooks for another time. We don’t collect them, we don’t grade them, we don’t red pen them. After notebook time, students prepare for the mini-lesson. Mini-lessons say, “All writers have something to learn, something to try. But this lesson be short and sweet because your writing time is precious, and I want you to have as much of it as possible.” With their notebooks already open, they are ready to listen to the short talk that will move them forward in their writing (see last week’s post Moving Writers Plans a Lesson for more info). We end each class period with sharing–a few minutes to come together and share what we are working on, ask questions, celebrate small victories in writing that day. My goal in ending the routine here is to communicate the larger idea that we are all in this writing thing together. 2) Choose a (sensory) signal to start class. My almost four-year old hasn’t napped for a year. It took us a while to find a good quiet time routine for him, one that would actually still his mind and body, and help restore his energy for the rest of the day, but now he begins every Quiet Time with a little bit of yoga. A few months ago we stumbled upon an incredible yoga series for kids on Youtube, and one of the things I love most about it is how the teacher begins. At the beginning of every yoga video, she says the exact same thing: Now we always start in the same way, and that’s by sitting on our bottoms, crossing our legs, and bringing our hands together at our hearts, and saying our secret yoga code word, which is Namaste. This simple script and posture signals to my son that his Quiet Time is beginning, and he knows what to do from then on. What simple signal will you choose to signal the beginning of writing class? It could be as simple as shutting the door, switching on half the lights in your room (if students have entered the room with lights off), opening up the windows, turning the background music down, lighting a candle, asking students to come sit in a circle in a specific part of the classroom, or saying the same few words as the yoga teacher does. All students will benefit from the tiniest step that signals to them “it’s time to begin” and floods their writing brains with comfort, confidence, and creativity. Step 3) Set up the environment to support routine. Think about the routines of your class and how you can best set up the environment to support them so you don’t have to waste time creating paths for those routines during class. Do writers do a lot of talking in your classroom? If so, perhaps you’ll group your desks together in clusters of four. Do you move into small group lessons after the writing invitation? Perhaps you’ll have a set of desks at the back of the room to accommodate this kind of instruction. Do kids keep their notebooks in your classroom (rather than take them home)? Perhaps you’ll set out the crates of notebooks near the classroom entrance so students can grab them as they come right into your classroom. Set 4) Be transparent about the routine. One of the first mini-lessons of the year is “Our Writing Routine.” I prepare a few Google slides showing students how they are expected to enter the classroom, where they will find their writing tools, and what the choreography of our class looks like. I create a simple poster on sticky chart paper that will hang in the classroom echoing the main points of the presentation–an anchor for them to look at for the first few weeks until those routines, and our schedule, become second nature to them. Step 5) Encourage kids to create their own routines within your routine. Routines do not have to be elaborate. In fact they need to be simple enough that students can remember to repeat them daily, and eventually they’ll do so without having to think about them. Encouraging students to create their own mini-routines will give them the agency and confidence to begin writing anywhere, not just in your classroom. My stomach tightens thinking about the days I used to begin class without a solid routine. Students sat on desktops or clustered together as I tried to count each head and mark attendance. The memory of the dying energy of slow starts gives me great anxiety; the tremendous fire of an inviting, comforting writing routine give me life. As I plan for this spring beat of posts that help reduce decision fatigue and bring simplicity and inspiration to the writing teacher’s classroom, let me know what kinds of posts you would like to see. I’m thinking of posts like “Moving Writers Deals with Email” and “Moving Writers Plans a Writing Unit” and “Moving Writers Grades Papers.” The only rule is that is has to be specific to the writing classroom! So fill out the quick form below to let me know what would be most helpful to you.